The advantages of adding decorative stamped concrete over other materials is endless. 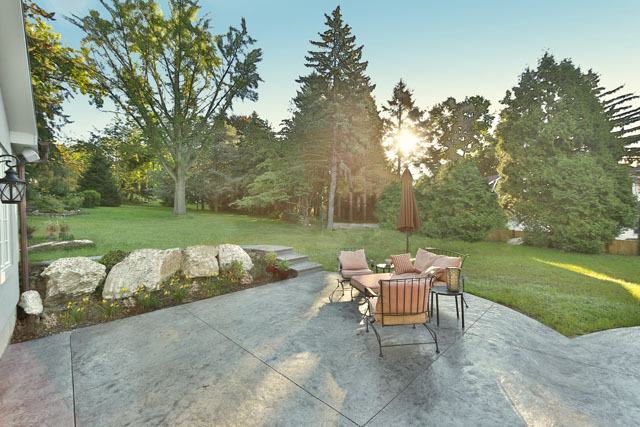 Whether it is a small residential walkway or a large gathering patio at a public area, stamped concrete will add a decorative touch to the landscape and stand the test of time. Below are few reasons you chould consider stamped concrete for your future project. Concrete is one of the most durable building materials. It’s the most used manmade material in the world. Not only is it used for walkways, patios, and pool deck but it used in the construction of many types of structures, buildings, roadways, and some smaller applications such as countertops. 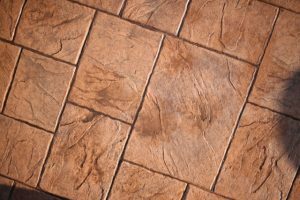 Stamped concrete was created to mimic the look of natural stone and pavers. It is created by adding color and impressing a “stamp’ onto the surface of a freshly poured concrete. This process creates a surface that is not only strong and durable but aesthetically pleasing. Stamped concrete comes in an endless variety of earth tone colors and design patterns that is sure to appeal in any area it is applied. Stamped concrete can be more affordable than most paver or natural stone applications because of the installation method. The process to pour a concrete slab or wall can take less time. Also, the price of natural stone and some pavers can be extremely expensive. Pavers and natural stone tend to individually shift over time causing trip hazards and reinstallation nightmares. Concrete doesn’t need to be reset because of the size of an individual slab. There is minimal maintenance to concrete, only cleaning or resealing when needed.